If yer man Rabbie Burns was alive today.. The boul’ Rabbie had something of a reputation as a man who was fond of wielding his boaby in the direction of young ladies and was no stranger to a wee drink. With this in mind I am sure that had be born 30 years ago he’d have penned an address to the kebab being the modern day equivalent of the mish-mash of sheep bits that makes the haggis so delicious. Well, mebbes not. I have been asked in the past “what was the biggest adjustment you noticed when you moved to Barcelona?” Was it the food? The climate? Being separated from family and friends? The answer is depressingly shallow. Eating a kebab, sober and in daylight has been the hardest thing for my brain to process. There are a few reasons for this. 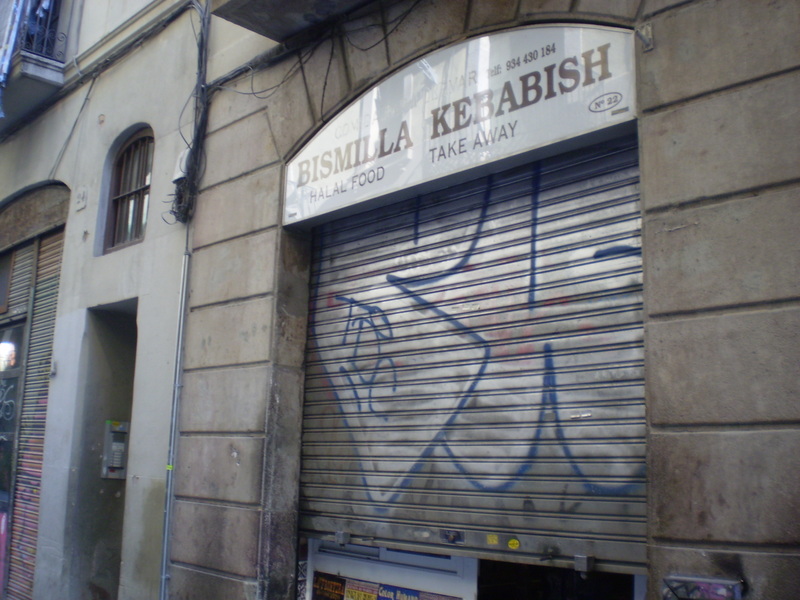 The most disturbing is that the kebab is widely regarded as being healthy here. They also taste like something resembling lamb which was a real shock for the my scotcher palate. My pavlovian kebab craving had at least a six pint trigger when I lived in Scotland. The final factor is that it can be difficult to find somewhere to eat between 4, when the lunch menus finish and 8 when they reopen, the kebab places are an oasis if you are starving at normal UK teatime. There are a few places I’d recommend in the centre. 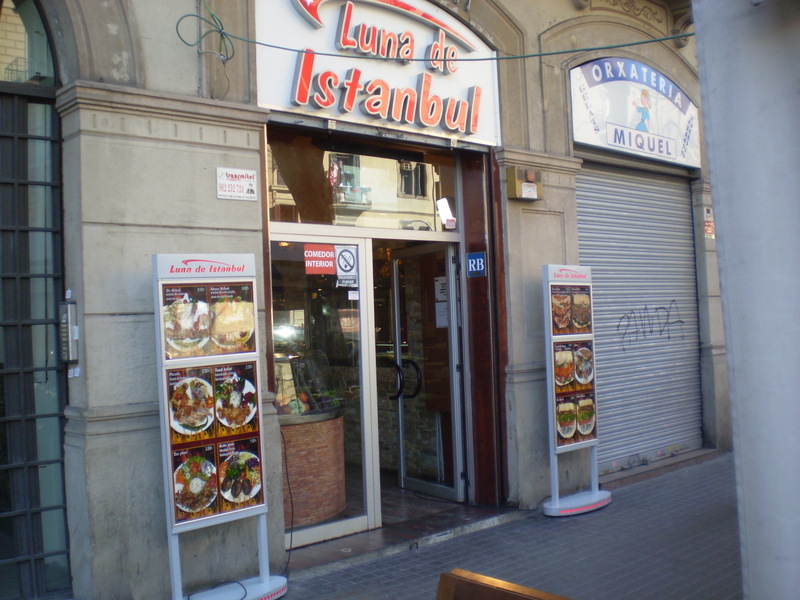 A short stroll from Pl Uniersitat on Ronda San Antoni is a Turkish kebab place, Luna De Istanbul. As well as yer basic doner kebabs and Durums (a kebab wrap is best description) they also do “proper” meat and chicken kebabs. These are a little pricier around the 8/9 euro mark but worth every cent. For a mid afternoon or early evening scoff it’s hard to beat. The terrace outside has the added bonus of being a splendid spot to watch the zoomers that are plentiful in the area at the top of the “colourful and vibrant” Raval. So to sum up, embrace the daylight sober kebab experience, it’s very hard to go wrong with the Durum (only downside, I DEFY you not to have the Pink Panther theme in your head after reading the menu, Durum, durum, durum, durum, durum, durum.). This entry was posted in Cheap food, Pl. Universitat. Bookmark the permalink.